None of these pics do it justice, but it’s just a really fun watch to wear. More to follow, but this is my new Longines. The lugs really push my 6.7” wrists, but I love the watch. It looks fine at any normal distance. This is the newer L3.774.4.50.6 version. I remember when Longines introduced the black Heritage Diver. 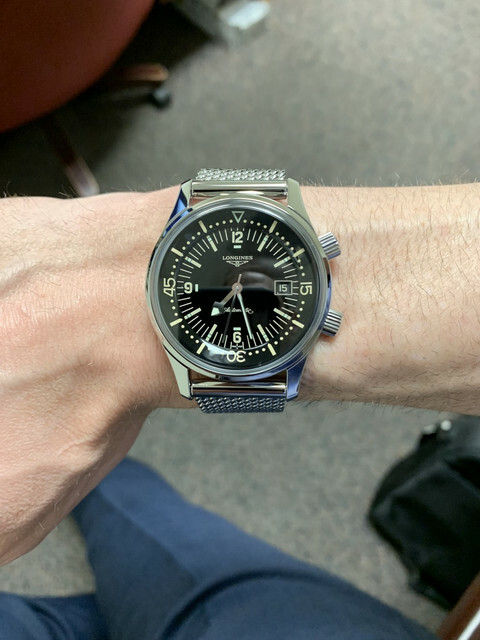 I thought: “too bad Longines didn’t put the new movement in the regular SS version.” Fast forward a year later and Longines quietly killed the L3.674.4.50.6 reference number and issued the L3.774.4.50.6 utilizing the newer L888.2 movement. 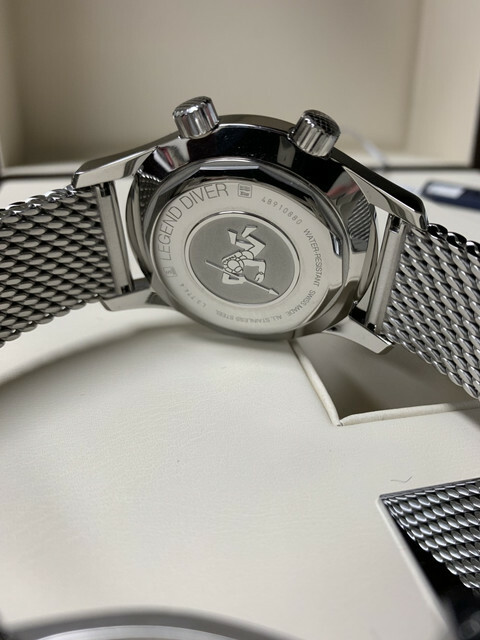 This is the same movement found in the ceramic-bezel Hydroconquest models: free-sprung balance, 3.5hz, 64hr power reserve. I haven’t owned it long enough to measure the accuracy, but I expect it will be more than acceptable. Last edited by Jezza; 5 Days Ago at 16:53. ChronoB, Sugman, b.watcher and 1 others like this. So, after four days of wear, the L888.2 is at +3.5 seconds per day. Even if this watch was a Chronometer, I’d be more than satisfied. That’s daily wear plus a winder at night. It’s not necessary to put the watch on a wonder at night, but I did it just to sort of negate any positional influence on the rate. Fantastic watch indeed. I have mine since january. The new movement and the mesh braclet really won me over. Mine s running also at quite steady +2 seconds a day. An absolute keeper and pure class. Congratulation to your purchase and wear it in good health my friend! Beautiful watch, OP. Looks great on ya too. 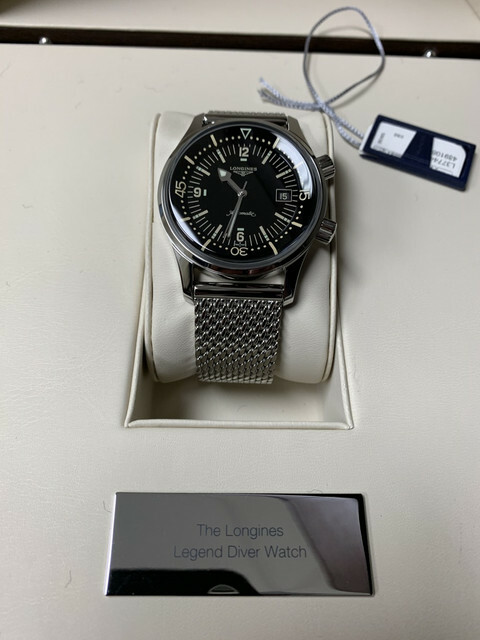 Brand New In Box - Longines Legend Diver!